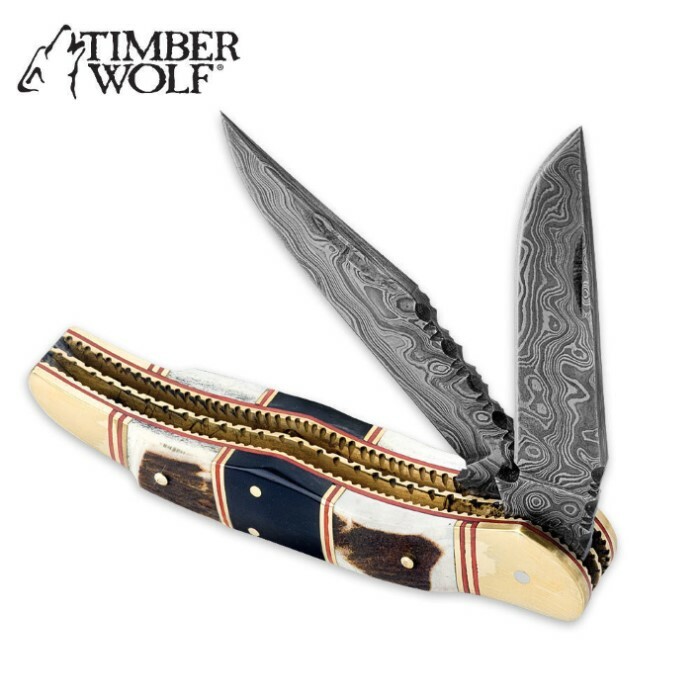 Timber Wolf Filework Hunter Pocket Knife Damascus | BUDK.com - Knives & Swords At The Lowest Prices! 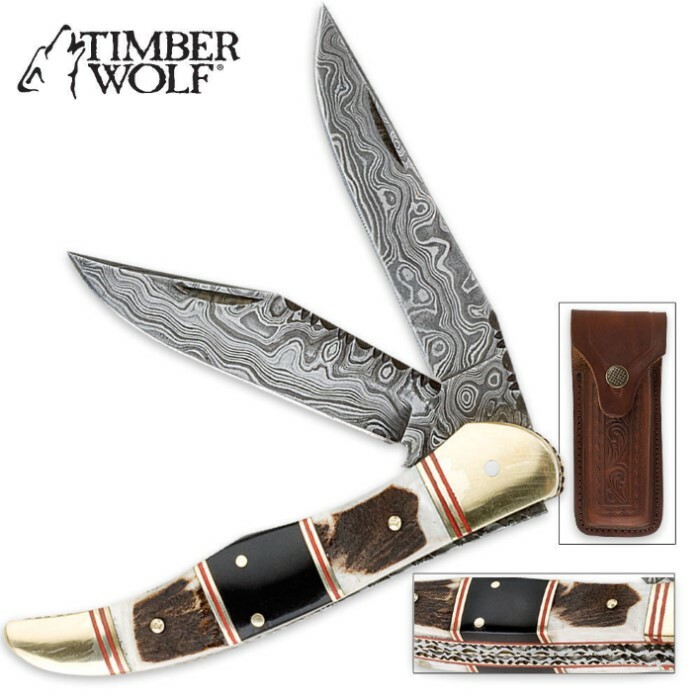 Timber Wolf's Filework Hunter is a real showstopper, featuring razor sharp Damascus steel blades, genuine bone and stag handle scales, and intricate file-worked details and accents. 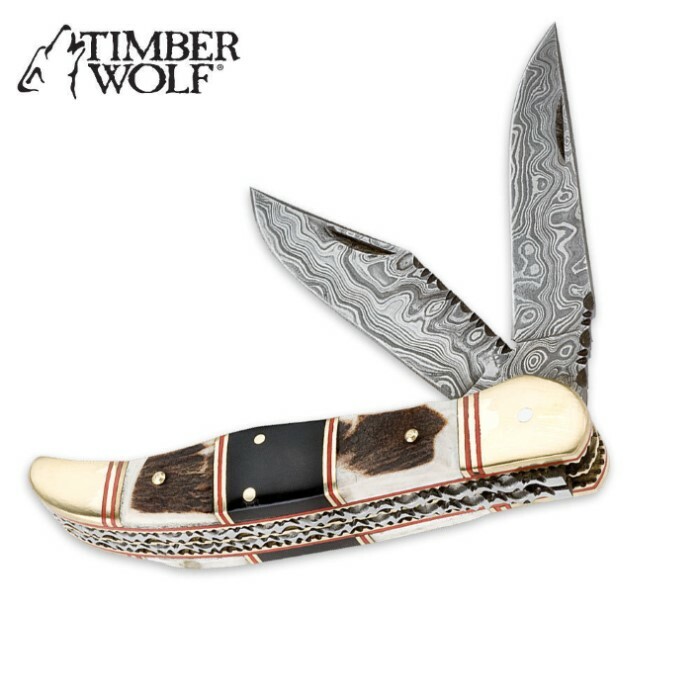 No detail was overlooked in this handsome pocket knife, only from Timber Wolf. As the title says, this one classy folder. The workmanship is quite good, even though one of the red spacers is different than the other three. it gives it character. The blades are flawless and come with a decent edge. As another reviewer said this looks to be a beautiful and durable knife. All in all it exceeded my expectations! Used Timberwolf Damascus to bone out mule deer. Normally I stop and resharpen a few times.I never even used the second blade. It is still sharp. Bought this knife as a gift. It is a beautiful, durable knife. Larger than expected, but all the better. I would recommend this knife to anyone looking for both a beautiful and durable knife. While the Damascus blades are genuinely nice blades the knife itself is some what shoddily built. 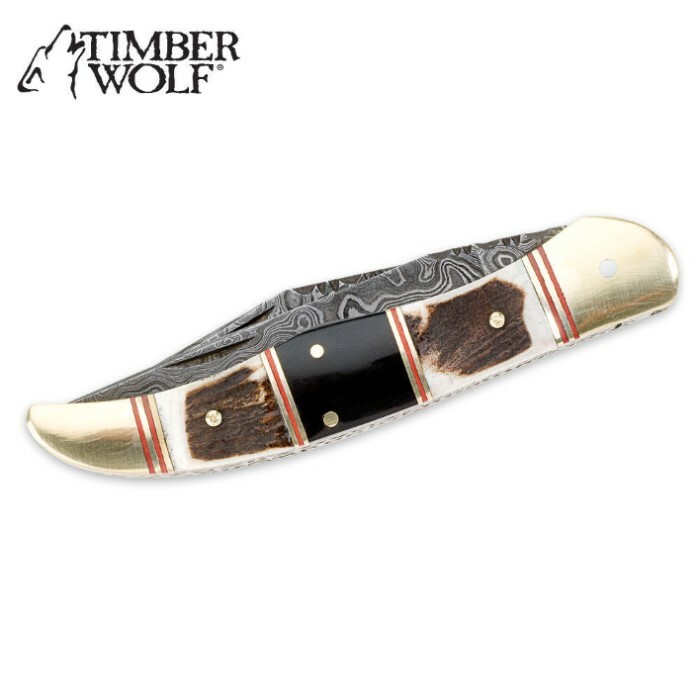 The bolsters are blotchy and cheap looking and the black bone inlay was chipped and cracked enough to make the knife less than the beauty it appears to be online. I'm returning it for an even exchange in hopes that this particular unit some how got past inspection and its replacement will live up to expectations, since it is a handsome looking knife.